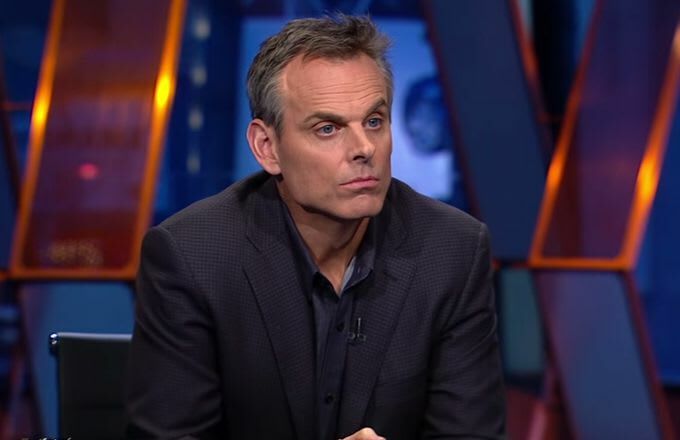 As you probably know by now, Colin Cowherd is leaving ESPN. An employee for the network since 2003, Cowherd has been a consistently controversial personality for the Worldwide Leader, often garnering criticism for his off-the-cuff style and questionable (read: racist) perspectives. His beef with Washington Wizards point guard John Wall has been a shameful radio circus. His disrespect for the late Sean Taylor was the type of ill-timed contrarianism that's better suited for a deep, dark sub-Reddit. He has also openly ripped off or terrorized small sports blogs during his time on-the-air, including, ironically, The Big Lead, which broke the story of Cowherd's departure yesterday. So, while Cowherd was undoubtedly loved by some (he does have nearly a million Twitter followers, after all), there are also plenty of sports fans who are happy to see him go. For those who need a refresher about why, exactly, that is, look no further than this short list of Colin Cowherd's Most Controversial Moments at ESPN. We tried to keep it brief; but, trust us, this list could've been much longer.